In a 2016 article, researcher Catherine L. Clelland and colleagues reported that a patient’s levels of the amino acid proline interact with their genetic profile to influence the seriousness of their negative symptoms. Negative symptoms of schizophrenia and bipolar disorder include flat affect and lack of volition and can be some of the hardest symptoms to treat. High levels of proline in the central nervous system have been linked to schizophrenia. Proline is a precursor to the neurotransmitter glutamate, and high proline levels have been found to alter glutamate and dopamine signaling in mice. This is one of the factors affecting negative symptoms. The other factor affecting negative symptoms is the COMT gene. The enzyme catechol-o-methlyl transferase (COMT) metabolizes dopamine in the prefrontal cortex. There are several common versions of the gene for COMT. The most efficient is known as val-158-val, identifying that the gene has two valine amino acids at position 158. People with high proline levels and the val-158-val version of the COMT gene had fewer negative symptoms than people with high proline levels and another version of the gene, val-158-met (indicating one valine and one methionine amino acid at position 158). Clelland and colleagues hypothesized that high proline levels may actually counteract the dopamine shortages common in the prefrontal cortex in people with the val-158-val genotype of COMT, which is more efficient at breaking down dopamine in this region. The mood stabilizer valproate increases proline levels. In the study, which was published in Translational Psychiatry, people with schizophrenia and the val-val genotype had fewer negative symptoms when treated with valproate than those with the val-met genotype who received the same treatment. Normal variations in genes can affect risk of mental illness. 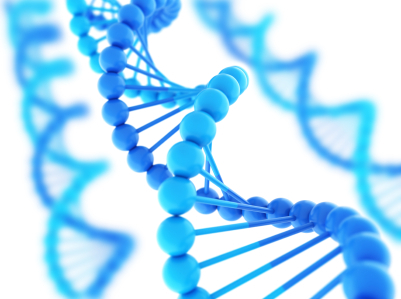 One gene that has been implicated in psychosis risk is known as BDNF. It controls production of brain-derived neurotrophic factor, a protein that protects neurons and is important for learning and memory. Another important gene is COMT, which controls production of the enzyme catechol-O-methyltransferase, which breaks down neurotransmitters such as dopamine in the brain. Several forms of these genes appear in the population. These normal variations in genes are known as polymorphisms. Certain polymorphisms have been linked to disease risk. A study by Anna Mané and colleagues published in the Journal of Psychiatric Research in 2017 explored links between COMT and BDNF polymorphisms, cannabis use, and age at first episode of psychosis. Mané and colleagues found that among 260 Caucasians being treated for a first episode of psychosis, the presence of a BDNF polymorphism known as val-66-met and a history of early cannabis use were associated with younger age at psychosis onset. The val-66-met version of BDNF occurs in 25-35% of the population. It functions less efficiently than a version called val-66-val. The researchers also found that males were more likely to have used cannabis at a young age. Editor’s Note: In the general population, marijuana use doubles the risk of developing psychosis. Previous data had indicated that the risk was higher for those with a COMT polymorphism known as val-158-val that leads to more efficient metabolism of dopamine in the prefrontal cortex. The resulting deficits in dopamine increase vulnerability to psychosis compared to people with the val-158-met version of the COMT gene. The new study by Mané and colleagues suggests that a common form of BDNF may be associated with an earlier onset of psychosis. Bottom line: Pot is dangerous for young users and can induce psychosis, particularly in people at genetic risk. Pot may be legal in many places, but heavy use in young people remains risky for mental health and cognitive functioning. The company Genomind offers genetic testing for BDNF and COMT variants as part of a routine panel.